This entry was posted in EdTech DEW Lines, Your Undergrad Experience to Date and tagged college by Nasrin. Bookmark the permalink. Same here, we are always in stress. 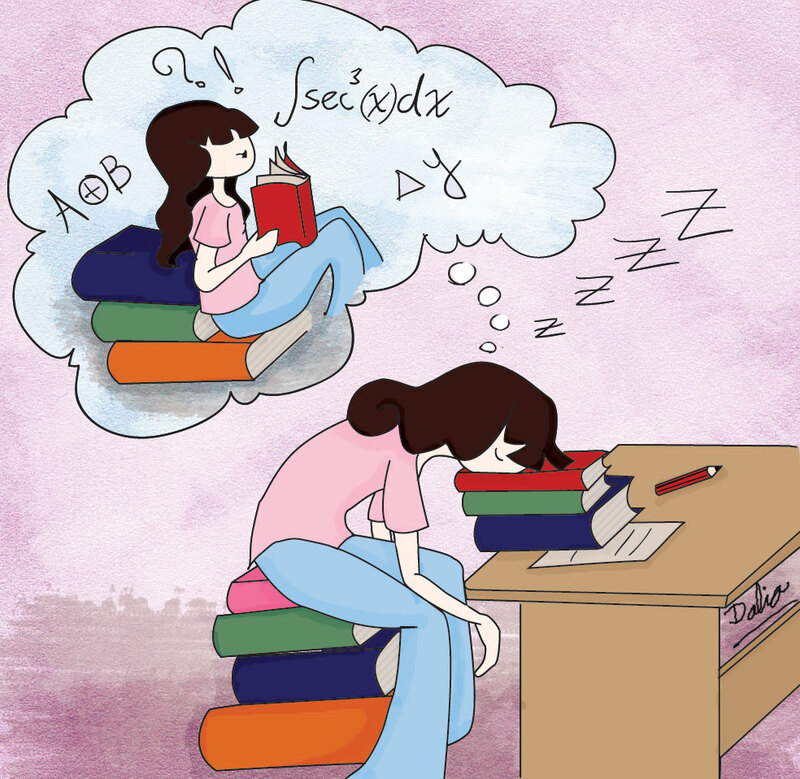 It is very hard to get enough sleep when you are taking a lot of courses. When finals week comes around, I’m sleep deprived. I know, especially during finals and midterms…i dont sleep at all! finals have me like this! I feel like sleep deprivation is a permanent state of mind in the 21st century. It doesn’t necessarily stop after college. Nasrin can you hyperlink some text in this post back to the original image? You are right it doesn’t stop after college. I guess all of us need to learn to manage our time better. Yes, Professor Smith, I can hyperlink some text back to the original image.